This year’s Blog Action Day falls on World Food Day so the topic is food. This is just one article from over 2,000 bloggers in 100 plus countries. I’m taking this opportunity to share my favorite charitable cause: hunger. America calls itself the land of plenty. 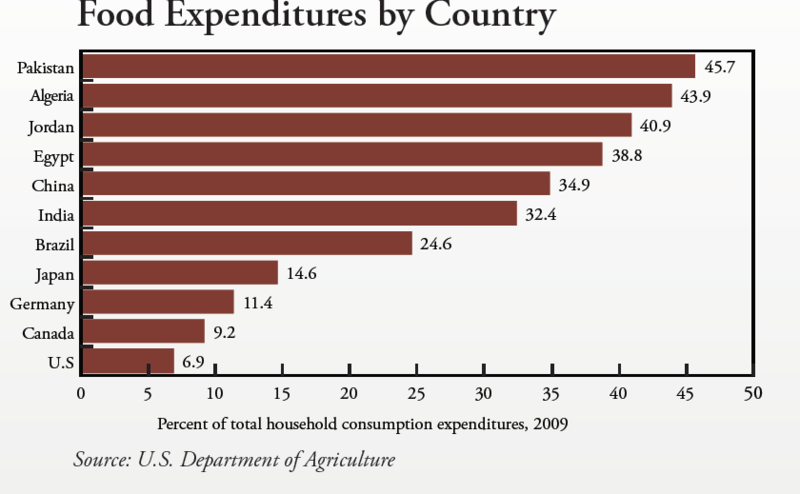 Less than 7% of our income went to food in 2009 compared to the 45% spent in Pakistan. Yet for 1 in 6 Americans, hunger is an issue. Last year over 48 million Americans lived in food insecure households. Food insecure means not always having access to food due to lack of money or other resources. One third of these are children. It’s not just our unemployed or homeless that are hungry. It’s the working poor, the retired and the ill. This angers me. No matter what religion or political affiliation all of us should be outraged that our neighbor, friend or family member might be lacking basic essentials. During the depression, hungry people sometimes came right up to homes looking for food. For safety reasons (on both sides) this isn’t the way to help or get help today. Here are four ways you can help feed the hungry. My favorite charity for this cause is Feeding America which primarily gets food to people nationwide via food banks. Because of their purchasing power, $25 provides 200 meals. Contact your local food bank and find out about opportunities help out. Your church and or local organization might be involved with food lockers or food banks. My church collects food throughout the month for shelters and food banks. Especially during the holidays, there are lots of food collections being held. Don’t forget to set out a bag or two for the annual Post Office drive the second Saturday in May. Don’t let the hungry in America be a dirty secret swept under the rug. Share facts and keep this cause in the conversation. My dream is sometime this won’t be an issue for the land of plenty. Until then, fight hunger! Great post, Kay! There’s no reason (not a good one anyway) why anyone in this country should go hungry. Good post, Kay Lynn. 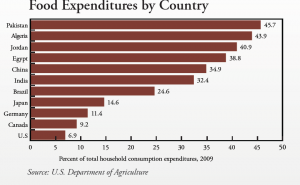 Food security is as huge an issue now as it’s been throughout history. I’d quibble with the definition of “hunger” in America though. Perhaps it’s hunger for good, nutritious food that won’t eventually land you in the hospital. More likely that 1 in 6 Americans has a crappy diet, and struggles with obesity, and all the related health issues to go with it (like type II diabetes). Good link to “Amber Waves”, by the way. I’ve bookmarked and will go back to it with a good cup of coffee, first thing in the morning. Absolutely important post. I absolutely agree that it should make people angry enough to do something about it… not just in the U.S. but around the world. People are doing things, but it is a big challenge. Thanks for contributing towards the cause (and motivating me to think of ways to do it as well). @ Cammy, thanks for leaving a comment. I love having my conference friends stop by! @ 101 Centavos, I got that statistic from the feedingamerica.org site. I know they do many studies on hunger. Glad you like Amber Waves! @ 20’s Finances, I’m glad to have motivated you; that means this post was successful. 🙂 I focused on hunger in America because we are one of the richest countries in the world and yet have this problem. Amazing! Great post. It is a paradox that we live in the land of plenty, but so many people are food insecure. Will spread the word. Thanks! Do you have a plan for charitable giving?